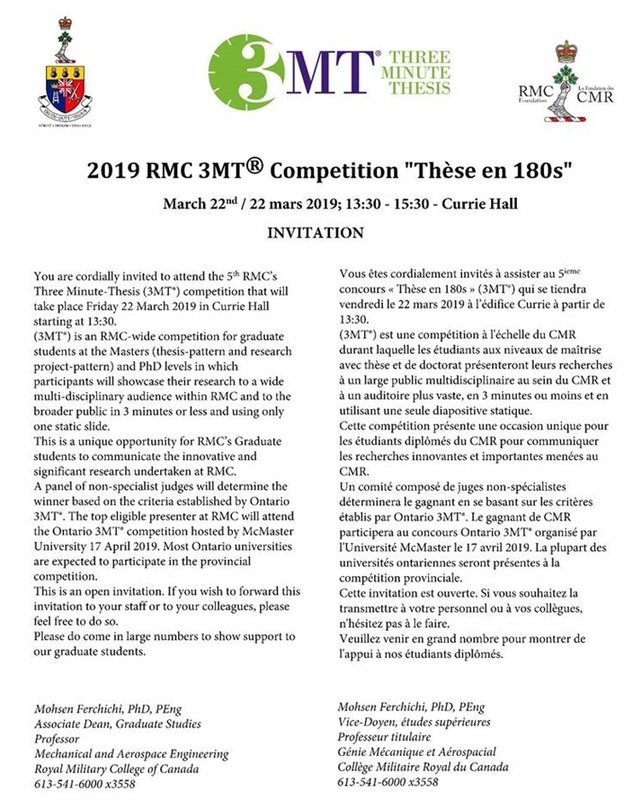 This event is proudly supported by the RMC Foundation. From March 1 until March 3, Officer Cadets Jacob Pittman, Xavier Bédard and David Guerrero joined 30th Field Artillery Regiment to be part of Exercise Frozen Gunner in Petawawa. They participated as (or shadowed) the roles of Recce Officer, Command Post Officer or Safety Officer. 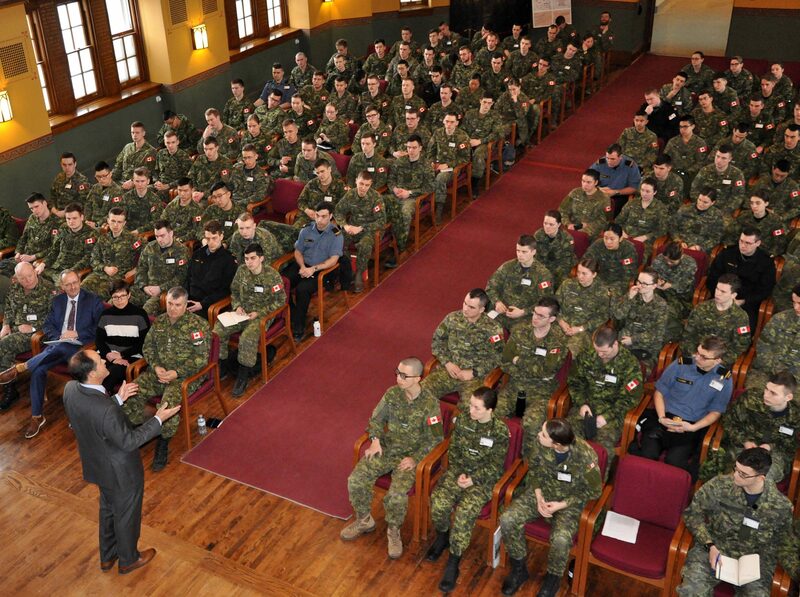 They were given a glimpse of the importance of the Army Reserve on military operations, and met with former RMC officer cadets who look forward to working with them should their paths meet in the future. 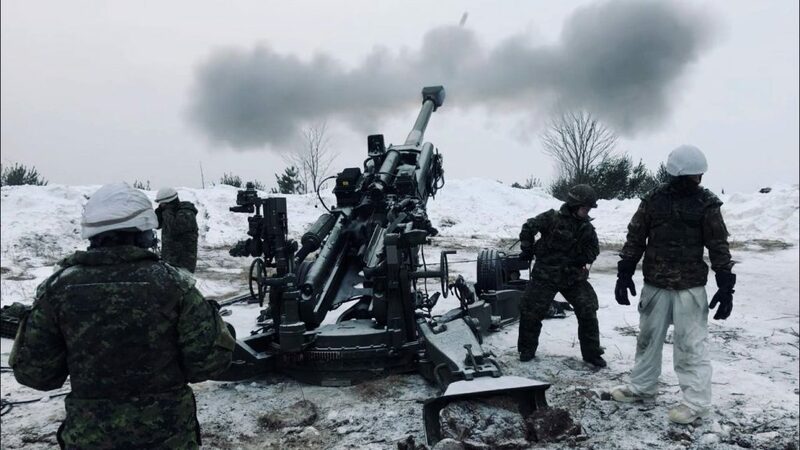 Du 1er au 3 mars, les élèves-officiers Jacob Pittman, Xavier Bédard et David Guerrero se sont joints au 30e Régiment d’artillerie de campagne pour participer à l’exercice Frozen Gunner à Petawawa. Ils ont joué les rôles d’officier de reconnaissance, d’officier de poste de commandement et d’officier de sécurité. Ils ont eu un aperçu de l’importance de la Réserve de l’Armée dans les opérations militaires et ont rencontré des anciens élèves-officiers du CMR qui ont hâte de travailler avec eux si leurs chemins se croisent dans le futur. 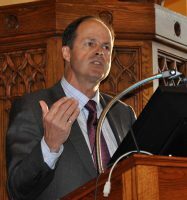 The J. Douglas Young Memorial Lecture was established in 1985 through the generosity of the Young family in association with the RMC Foundation. This lecture series honours the memory of 2360 Major Douglas Young who graduated from RMC with distinction as the senior Officer Cadet of the Class of 1937. Major Young paid the ultimate sacrifice while serving with the Royal Canadian Artillery during the Second World War. The Young Memorial Lecture also honours the memory of Major Young’s father 803 Major-General James V. Young, CB, CBE, Class of 1908. General Young was an outstanding Cadet, solider, athlete, and prominent Hamilton industrialist. He was instrumental in seeing that RMC was re-opened as a Military College following the Second World War. It is through the generosity of the Young family and in particular the late H2552 William H. Young (Class of 1936) and his brother 2851 A.B. 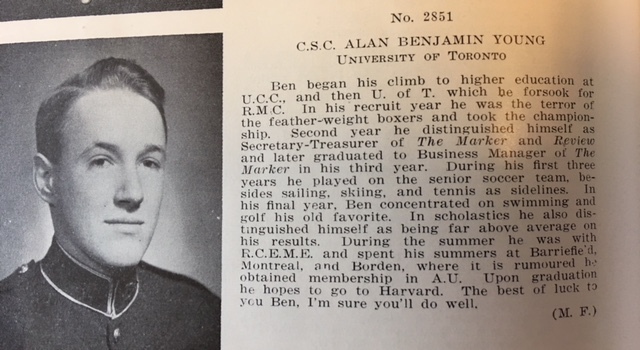 (Ben) Young (Class of 1952) that this lecture was made possible. For the 2019 Young Memorial Lecture, 12192 Gen (ret’d) Tom Lawson came to the College to speak to the Third Year Class this past Wednesday. 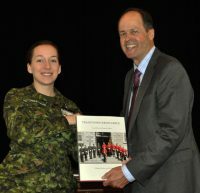 As 27897 NCdt (III) Christina Pongetti explained, “As an ex-Cadet and past Commandant of RMC, General (ret’d) Lawson is a fantastic course of knowledge on being a great leader. He even gave us advice on bar positions here at the College and intrigued us with anecdotes from his time at RMC and his experiences through his 40 years in the military.” A Question period followed the lecture which helped to ensure that the wisdom imparted byGen (ret’d) Lawson will not soon be forgotten by the Third Year Cadets.